Sometimes odors can prevent some of us from enjoying our homes that pets, children and guests leave behind. 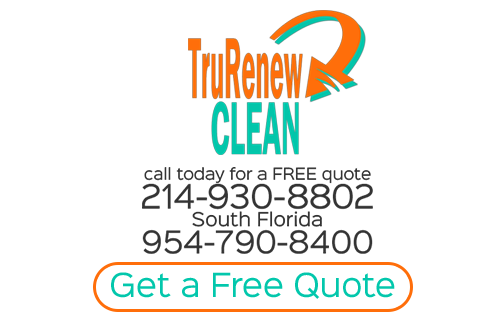 TruRenew Clean is here to tell you that we have the solution to your odor problems. We offer several different options depending on the type of odor that will take the odors out of the home safely and surely. When it comes to pet odor solutions, TruRenew Clean's customers have expressed a great need for an affordable pet odor solution for their home. Many customers are unable to properly or professionally see or remove the contamination from their home that their pet has caused. Once again TruRenew Clean employs an educational approach to the customers concerns; not only showing the customer the level of contamination, but informing the customer of the options available to them and them educating on how to maintain their carpets between cleanings when pet accidents happen. Keep in mind when dealing with pet urine spots, there is a difference in cleaning the urine soiling and treating for odor. Just cleaning the existing urine spots MAY NOT remove any associated odor. In fact, this could increase the odor for a period of time. Topical Enzyme Treatments - This type of pet odor solution is for treating well protected carpets or odor issues that have only affected the face fibers of your carpeting. The enzyme treatments break down harmful bacteria from urine, vomit and feces and help to remove most staining that is caused from these types of accidents. This treatment usually priced per room. Full Enzyme Carpet & Pad Flush Solution - This treatment solution is for carpets that have been soiled beyond the face fibers and affect the backing and the padding beneath the carpet, but also affected can be the subfloor, whether wood or concrete. 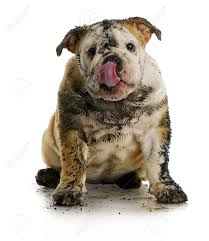 Depending on the level of contamination and the level of saturation from your pet will depend on whether or not your technician will recommend that your sub floor be sealed and tack strips replaced. Not only will your technician show you the damage but will explain the different options available to your, so together you can come up with an affordable solution that will allow your home to be healthy and odor free. Do you guarantee that the odor will be gone when you leave? Your technician will need to go over this with you while in your home. In many situation we do offer a guarantee as long as the source of the odor is no longer present in the home, however the severity of the damage will determine if the cleaning or treatment is only going to be a salvage clean. Will this treatment keep my pet from going in the same spot? We can never trust that your pet will not return to their favorite spot. Most of the time once we have removed the urine or feces this helps prevent the pet from smelling and returning to the same location. Will a regular cleaning not do a good job removing the pet odor? The answer to the question varies from one home to another. The correct professional answer is once a pet has had an accident on the carpet, the bacteria starts to grow in that area. You want to remove that with a specially designed treatment that helps breakdown those specific types of accidents. Also, once a pets has an accident, a regular cleaning will rehydrate the urine, sometimes leaving a stronger odor than before. I have pet proof padding, do I still need to do a pet flush? It is best to allow your technician to check to make sure your padding is properly secured from pet accidents. Many times homeowners have been shocked to find that the installation of their pet proof padding did not include tapping together the seams of the padding, thus allowing the urine to soak beneath the plastic barrier of protection. The only way to correct this problem is to replace the damaged soiled padding. If you are looking for an odor remediation specialist then please call 214-930-8802 or complete our online request form.